Talk shop with San Francisco bird artist, David Tomb. Tomb will give a presentation about how artists and illustrators can use natural history museums’ collections to inspire and inform their work. He will discuss his process of studying and drawing from bird skins and bird mounts. 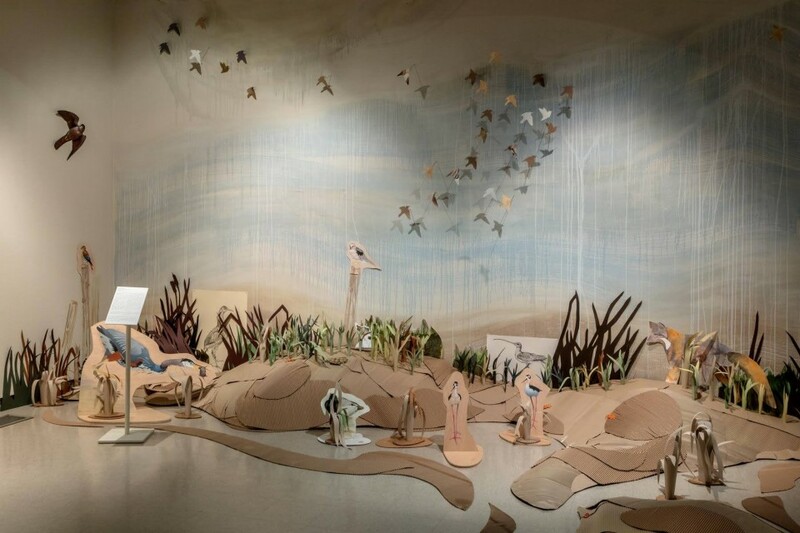 Tomb will demonstrate how he transforms these studies into life-size, full three-dimensional art installations that are inspired by dioramas from American Museum of Natural History in NYC and the Pacific Grove Museum of Natural History. Other topics that that will be covered are the overlap of art and science, the art of dioramas, illustration vs art, great bird painters and illustrators of the past and those currently working. David will have on-hand examples of his bird study drawings, studies from bird mounts and a portion from his recent installation: King Tides and Elusive Rails that was at the Fresno Art Museum and the Palo Alto Art Center. Tomb’s work is in many national public art collections including: the San Francisco Museum of Fine Arts, the Oakland Museum of California, The Huntington Library Art Collections, San Marino, CA., the Embassy the United States, Manila, Philippines. His illustrations have appeared in the New Yorker, the New York Times Book Review and Harper’s Magazine. When not art-making he is often out in the field searching and sometimes finding birds locally and internationally.